Airscape is an emergency product placed in hazardous areas. 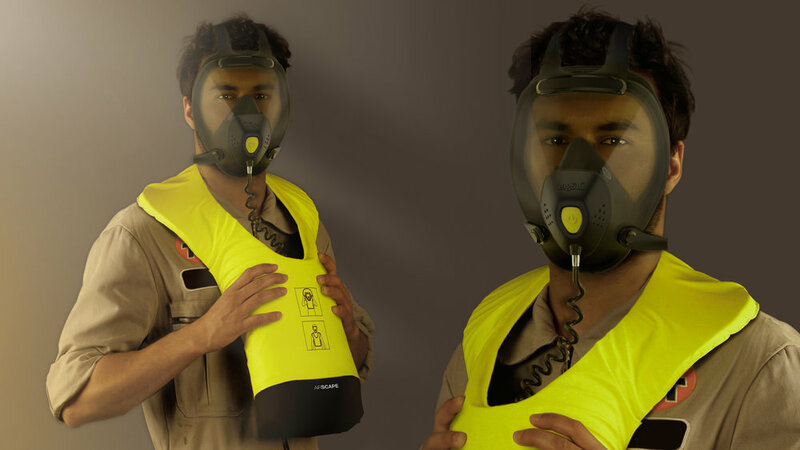 As soon as a risk is detected by the personal device of the worker, the user will run and get one of this product, providing between 10 and 20 minutes of clean breathing, in order to be able to safely escape the danger zone. Aiscape is made up of two small size compressed air cylinder, one gas mask covering eyes, nose and mouth, and a protective bag. It is reusable. The goal was to create an intuitive product which will require no training for being able to use it. Airscape is a solution to eliminate the waste of precious seconds on the "pulling-on" process of emergency breathing apparatus. 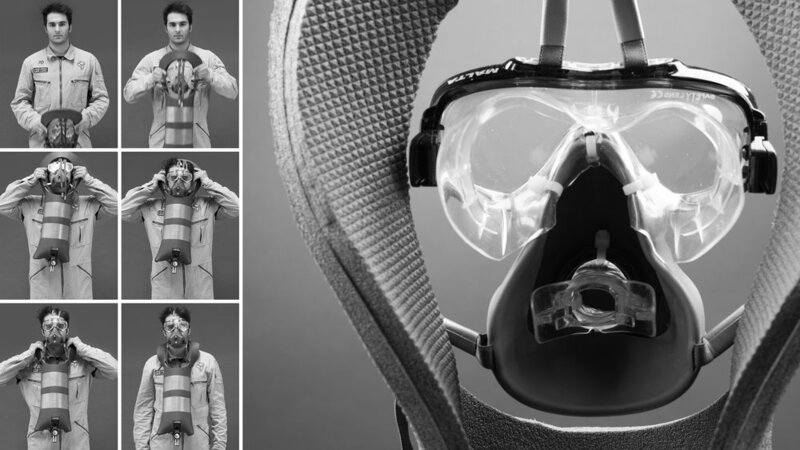 It maximizes the use of a non-interrupted gesture, in order to pull-on the product and put-on the gas mask at once, limiting the risk of doing it wrong.